Warner Bros Studios just released the tie-in mobile game to the Fantastic Beasts movie and it's called Fantastic Beasts: Cases, and we have a money hack for it. 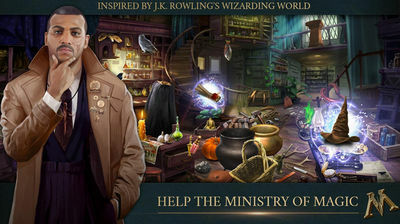 It's a hidden objects game where you get to join the Ministry of Magic investigating matters and casting spells. Discover a world beyond imagination. Check out famous locations like Diagon Alley, Hogsmeade, and the Leaky Cauldron, as you try to explore magical mysteries. Find hidden objects, analyze evidence, cast spells and brew various potions to protect all the magical creatures. Enjoy the game with unlimited money thanks to the mod and have fun! Fantastic Beasts Cases From the Wizarding World is social, in that it features a magical community where you can unravel the secrets of the wizarding world with your friends. Help them when in need and see how you stack up against recruits. Download version 1.3.5781 apk now and play magic! 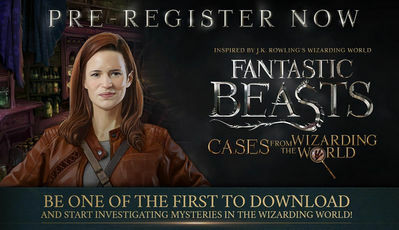 More details on the official Fantastic Beasts Cases Google Play page.